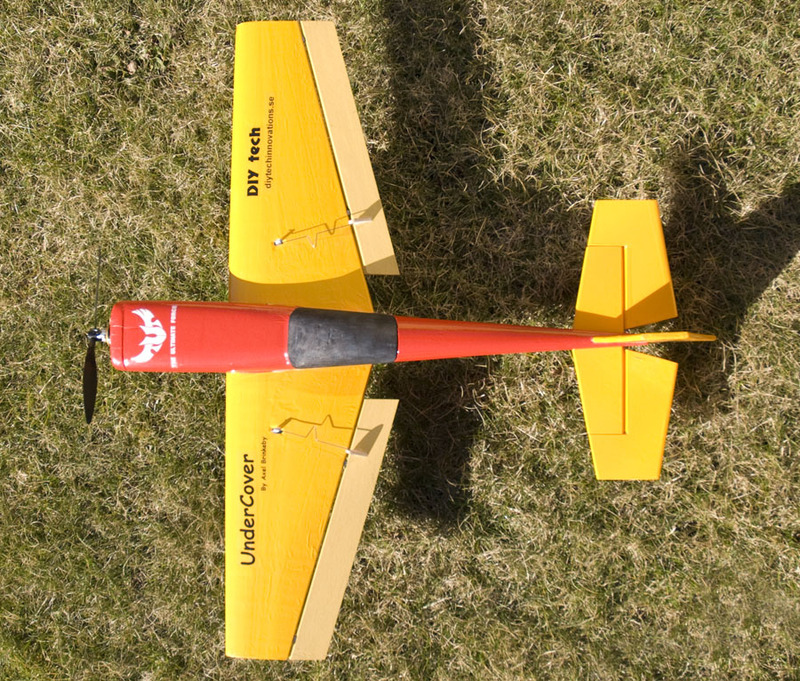 UnderCover is a my little 4 channel aerobatic airplane. It is really fun to fly. 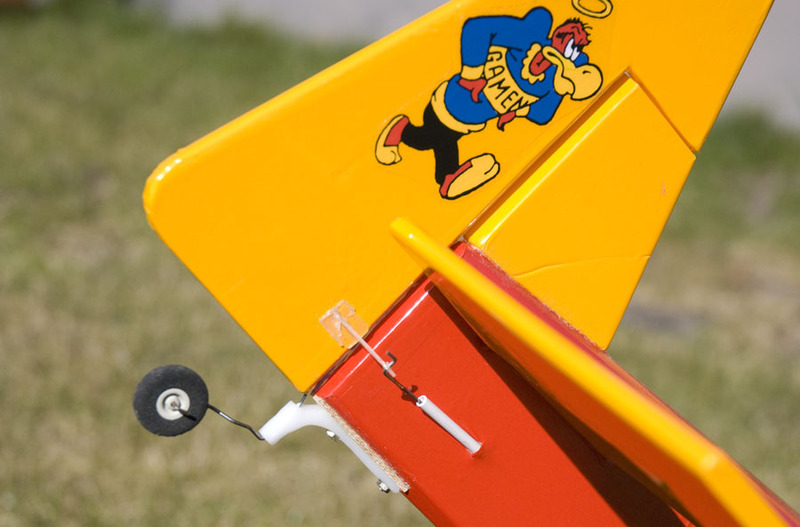 This airplane is built out of foam covered with plastic film, which makes it look great, but that is basically the only special thing about the design of this foamie. The wingspan is about 80 cm and the weight is about 400 grams. 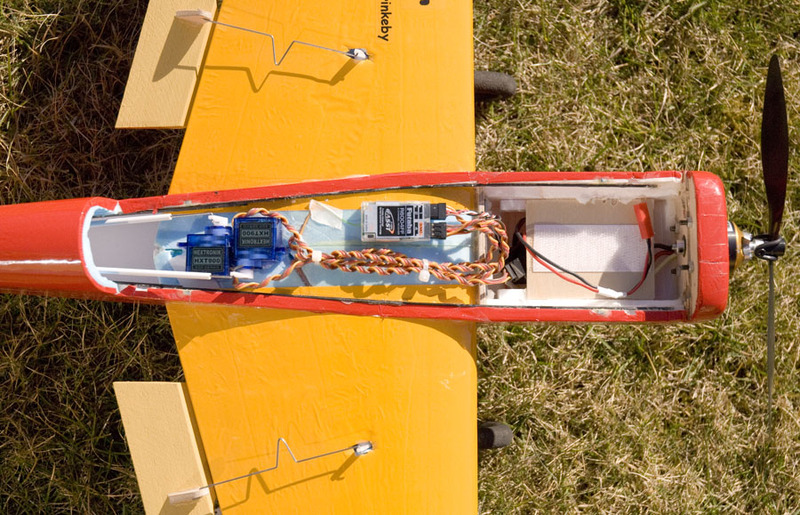 The UnderCover is powered by a AXI motor creating more than the airplane’s weight in thrust.